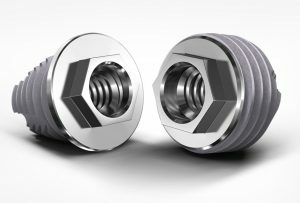 The Osseointegrated Fixtures system extends the use of osseointegrating implants from dental only applications, to the attachment of prosthetics outside the oral region. Osseointegrated Fixtures have been developed to enable the attachment of external aesthetic restoration prostheses when suction or adhesives are inadequate. This has been found to be useful for both craniofacial prostheses and prosthetic digits on the hand.